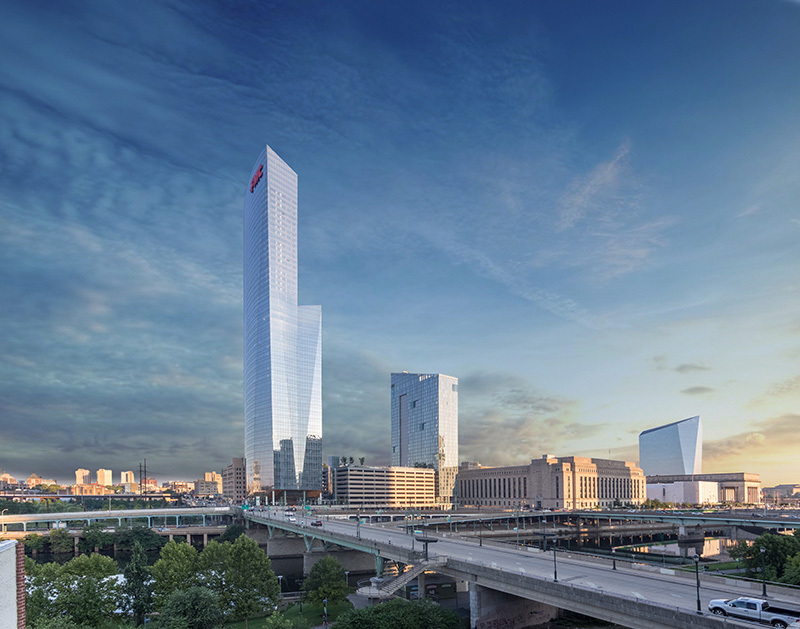 FMC Tower stands as Philadelphia’s first true “Vertical Neighborhood.” The final phase of Brandywine Realty Trust’s transformative 2.7 million square foot Cira Centre South development, FMC Tower is a 49-story, 730-foot tall luxury mixed-use skyscraper that combines iconic architecture with the latest in advanced engineering and LEED - based sustainable design. 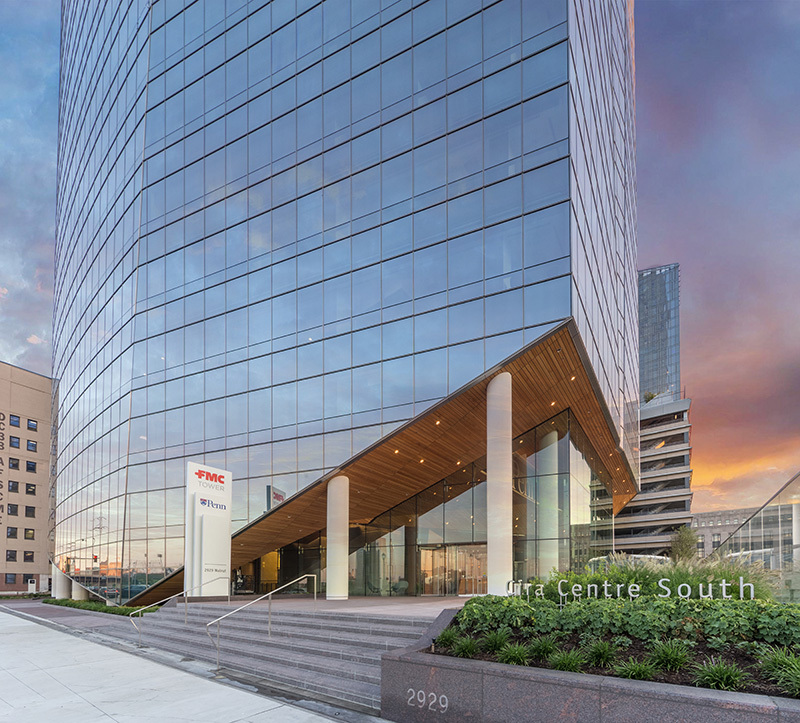 FMC Tower is situated at the confluence of Philadelphia’s major thoroughfares and offers quick access to Amtrak’s 30th Street Station – a primary hub for regional, multimodal transportation along America’s Northeast Corridor. The tower contains 622,000 square feet of trophy office space. 10’ ceilings and efficient floor plates encourage collaborative, light-filled workspace concepts for today’s emerging businesses. 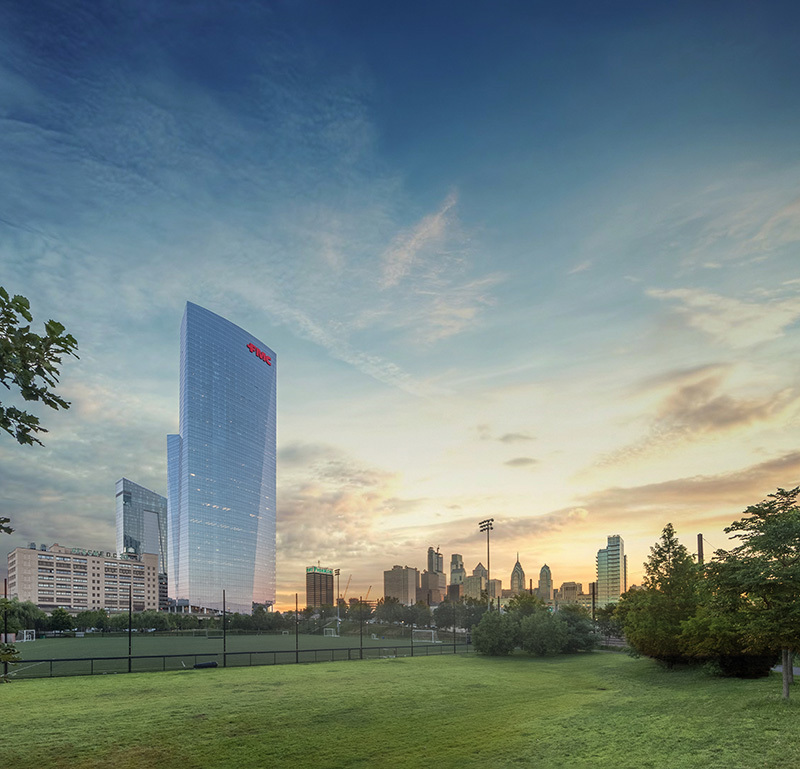 Anchor tenants in the office portion of the tower include FMC Corporation and the University of Pennsylvania. 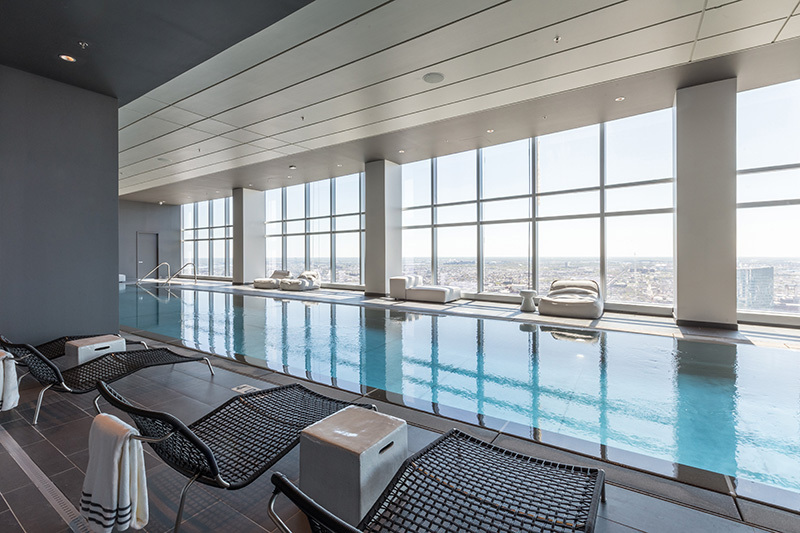 The 28th floor is a shared, full-floor of deluxe amenities including: a skyline terrace with fire pits; hydrotherapy spa; state-of-the-art fitness facility and 73’ pool; media lounge and theatre; yoga studio; golf simulator, and more. 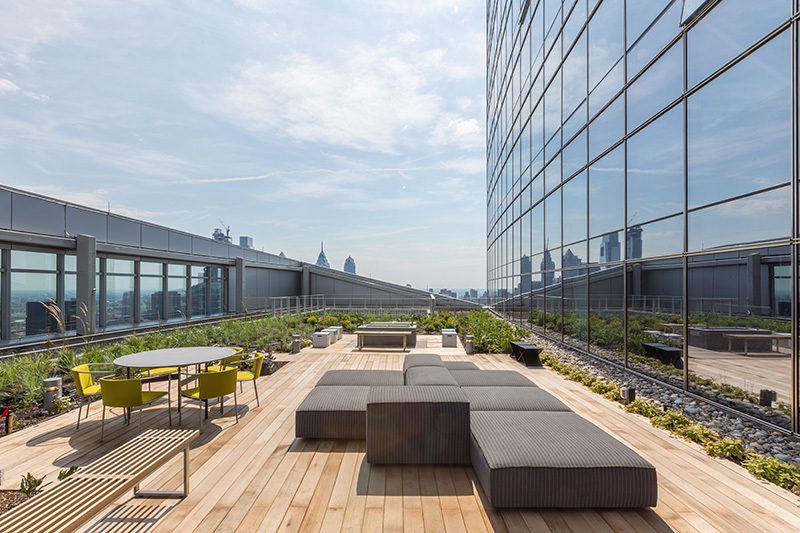 With distinctive locations in London, Beverly Hills, and Washington, D.C., Korman Communities’ luxury AKA residential units and extended-stay suites encompass the upper floors of FMC Tower. AKA balances the style and hospitality of an intimate hotel with the space and comfort of a fully appointed condominium. 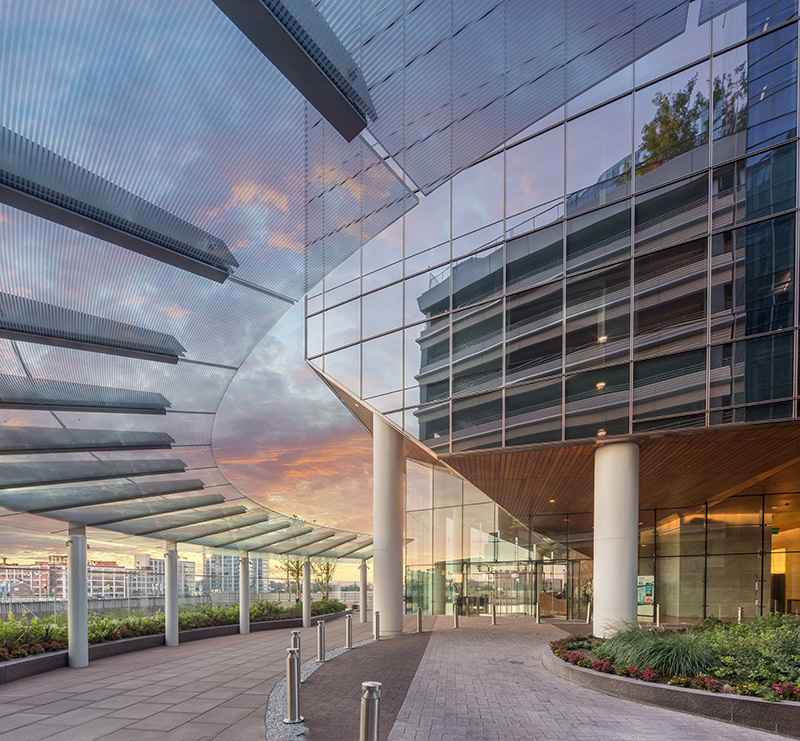 A 25,000 square foot restaurant and retail pavilion, a porte cochère and valet for the adjoining 1,665-space car park, and professional concierge service comprise the ground level services of the tower. 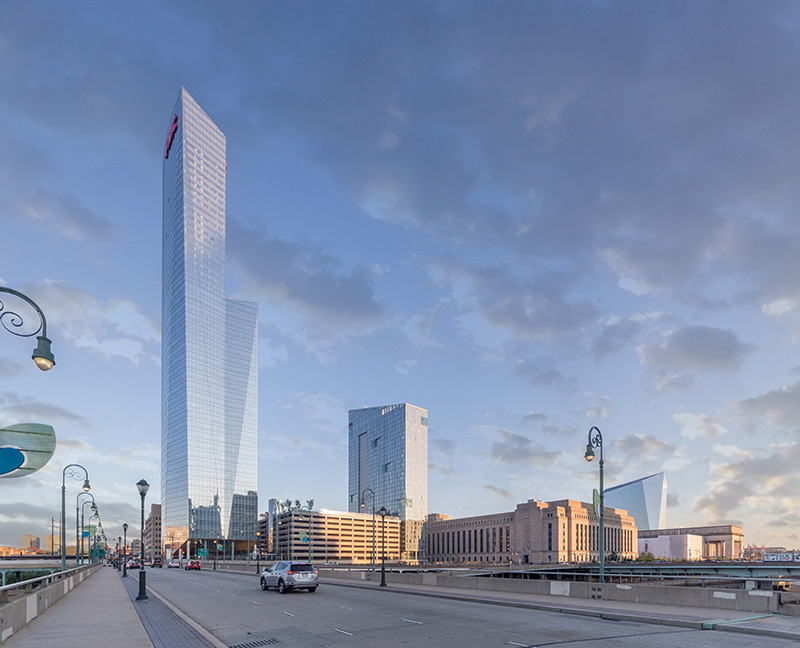 Designed by Master Architect César Pelli, FMC Tower enhances Philadelphia’s “World-Class” reputation with its strategic University City location and its active embrace of today’s live, work, play social dynamic. 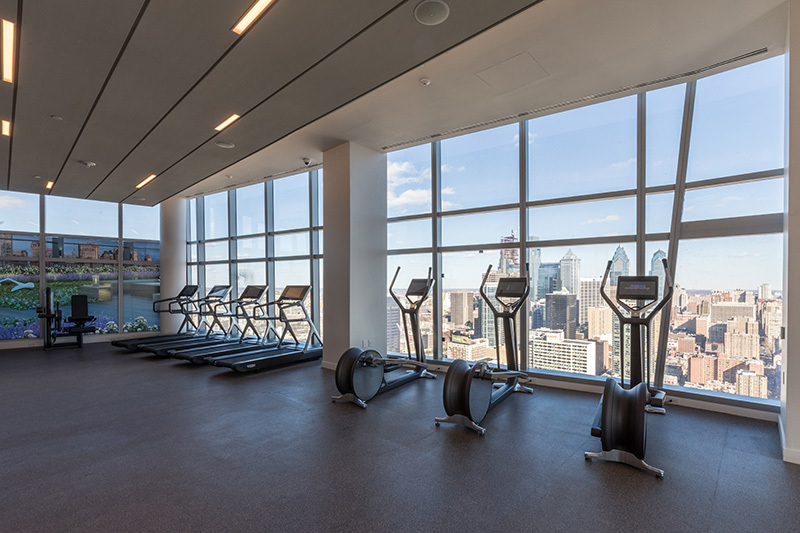 New Amenity at FMC Tower – Bike Cages! 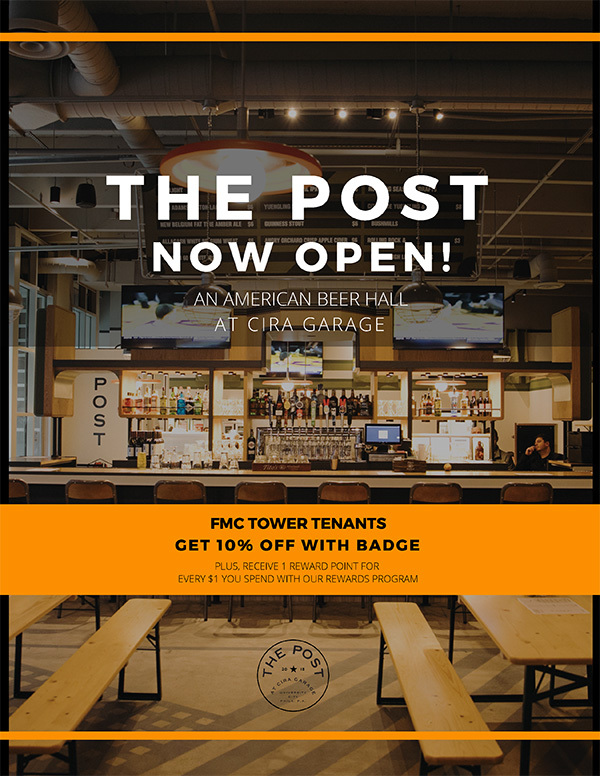 The Post is NOW OPEN! We are excited to provide this FREE amenity. If you would like to use the bike cage, we ask you to fill out and sign the Bicycle Storage Agreement (click here). Please email the signed Agreement to Shani.Saunders@bdnreit.com. Walnut Street Cafe, located in the FMC Tower at Cira Centre South. Enjoy American cuisine and casual dining.